A hatchback version of the Astra-size Chevrolet Cruze will be shown at the Paris Motor Show as one of four world Chevrolet premieres at the show. The Cruse was launched in spring 2009, but as it's only available as a saloon sales have been limited in the UK. 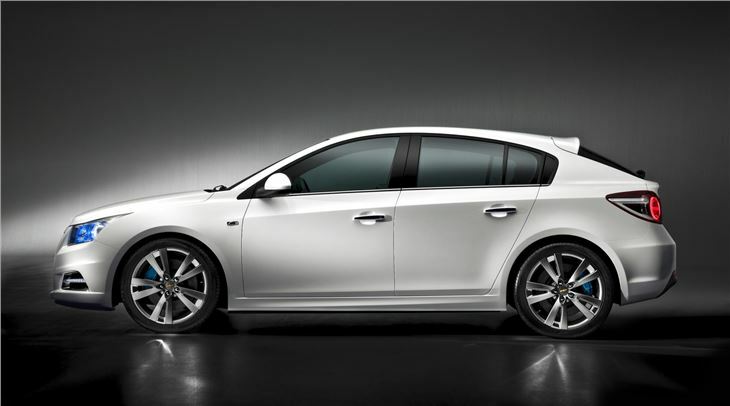 The addition of a hatchback, will make the model available to a wider spread of buyers. The hatchback has a sweeping coupe roofline and short overhangs at both the front and rear with the same dynamic 'stance' as the saloon and will be instantly recognizable. 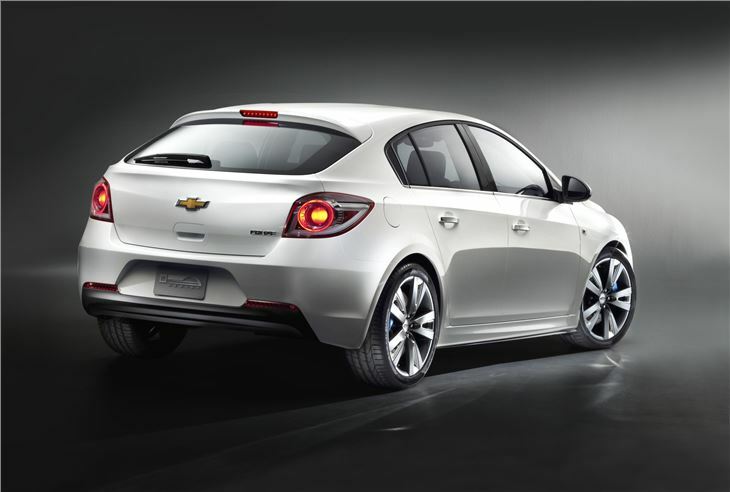 Chevrolet claims that it will benefit too from the same taut body 'feel' on the road, being built using the new body-frame integral system (BFI) which is complemented by the final tuning to chassis components. The BFI system results in high levels of stability and solidity. 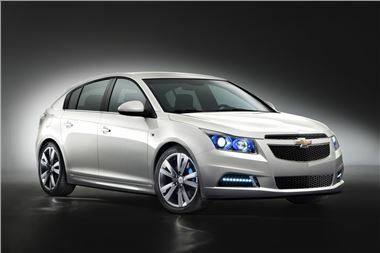 The new Chevrolet Cruze 5-door hatchback will go on sale across Europe mid 2011 with prices announced nearer the launch date.